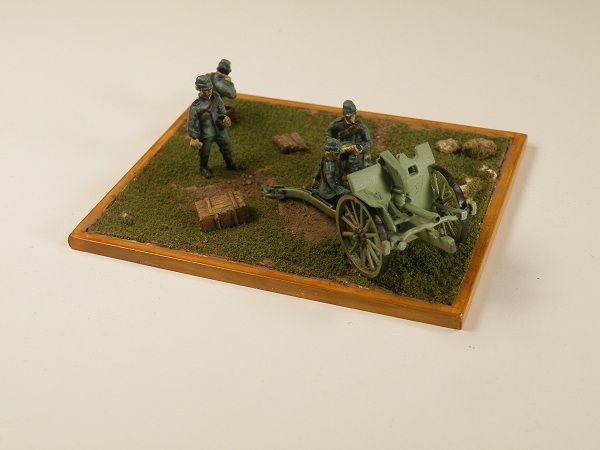 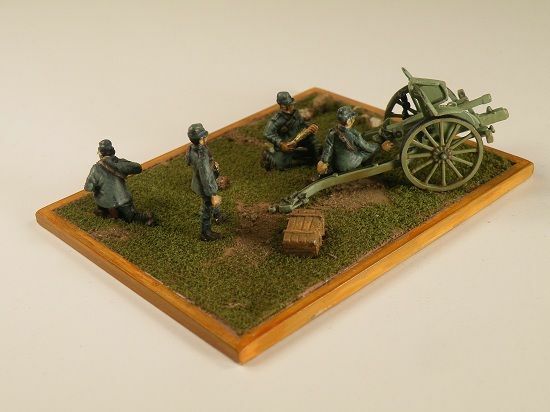 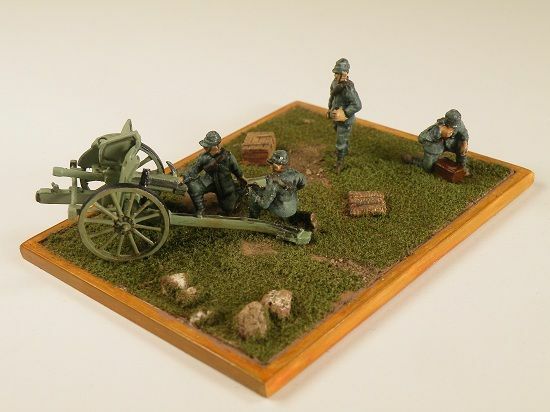 This is my latest diorama using the Hat Deport Gun and Italian Artillery Gun Crew in 1/72 scale. 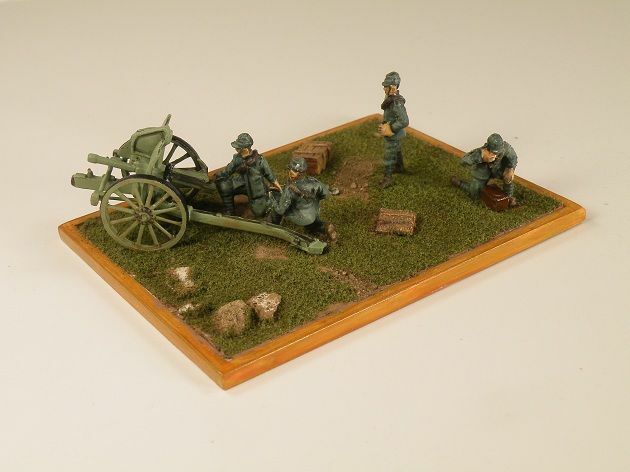 The gun is built out of the box except for drilling drain holes in the seat and in the barrel and adding a grab handle to the wheel fender. 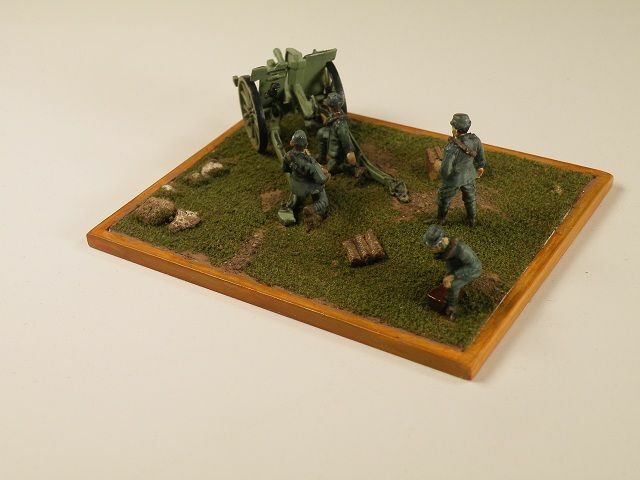 The base is plastic and the ground cover is epoxy putty painted with craft paint and Woodland Scenics Turf and rocks from the flower bed were added.